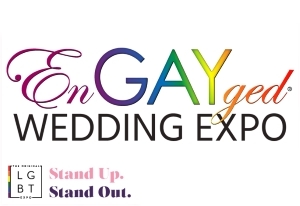 Melody + Stacie - 2015 EnGAYged Wedding EXPO Giveaway Finalists! My name is Melody and I am engayged to an amazing woman named Stacie. We started out our fairytale 5 years ago when she asked me to be her girlfriend. We both haven't came out yet at that time, so we got to come out to our families together. I grew up with a very religious mormon family who didn't take me coming out well at all.. At first I wasn't talked to much and only I could come to family events. Stacie's parents on the other hand took it a lot better, they just want her to be happy. Over the next 5 years we kept defeating the odds and breaking down barriers of the rumored gay life style. I had a son previous to mine and Stacie's relationship and Stacie wanted to have a child of her own, so we decided to find a donor. Turns out we have an amazing friend who donated the juice to help create our precious daughter. 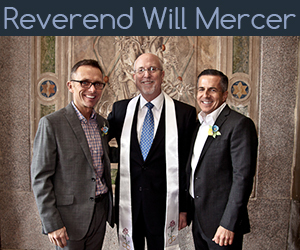 Now that Arizona is accepting gay marriages that is our new barrier to break down. We have had our ups and our downs and battled through religious stigmas and we have came out on top and strong, my family has started to turn around as well, they can see we are a strong family unit raising our children to be great kids. We deserve this chance of a once in a lifetime wedding, because I currently can't afford to give my future wife the beautiful wedding that she deserves. Please choose us! Please help make my future wife's Wedding day be the best one she could ever imagined! !